Mycena Cave - Forums - Announcements - [OPEN BETA] The Adventure System Open Beta Starts Feb. 10th! We are ready for our site-wide beta test of a new feature called the Adventure System! This system has been in the works for over a year now and we’re excited for you all to start to poking at it and giving us feedback. Our open beta will run from 00:01 February 10th until 24:59 March 10th. The beta will be structured into different tasks with a focus on teaching testers how to use the interface and eliciting tester feedback along the way. Testers will try out introduction tutorials, explore the interface through a series of tasks, create a tiny adventure, and roleplay through a tiny adventure. For taking the time to learn the Adventure System interface and for giving us feedback, we are giving out some items and nuggets as a way of giving our thanks. Testers will get Windblown Feathers for completing the various components of the beta. Feathers can be exchanged for nuggets or open beta specific items. If you have questions, feel free to ask below! Details about the different components and the tokens will be released with the start of the open beta on the 10th. Will we be able to roleplay test with partners? It will be helpful to have tests with solo runs and multiple testers, so we aren’t putting any restrictions on number of players for your tests. Is it required to do certain components? Being a tester is a voluntary position, and testers are free to pick and choose what they test. We will have a suggested order since we think it will make learning the interface less overwhelming. 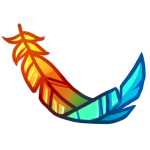 Testers will also gain feathers as a thank you from us for completing different components and giving us feedback on each component. I am SO EXCITED for this!! I honestly can’t wait to get started! One question, for the adventure roleplay portion, is it individual or partnered or do we have a choice? AAAHHHHH This is going to be so cool! glitch Thanks for letting me know!! Now I just need to contain myself til then, which admittedly isn’t gonna be easy. Edit: Got so excited I double-posted, whoops. Y A Y I cannot WAIT to get started!!! This sounds super cool! I can’t wait to get started! Does open mean that anyone can try it out, or would we have to apply as well? Sorry, I’m unfamilar with all this terminology. By the time I’ve discovered things, they’re long past these stages because I’m a slowpoke. I enjoyed Quest for the Icy Soul, so I’m looking forward to doing this. Oh, don’t mind me while I bounce off the walls in excitement and anticipation. Also, this starts literally the day before the first day of the semester at my uni. How important is the first month of school, really, do you think? Sweet! A chance to push buttons, poke things and try to break others ^=^. I’m looking forward to this stage! Do we get to pick and chose, or will we absolutely have to create a mini adventure? I seriously hope you give us a tutorial for that, as I’ve never crafted an adventure. I’M EXCITED FOR MC TO TAKE THIS STEP! Great work Glitch, Myla, and the testers! Tamako The feathers can be exchanged for the items or for nuggets (an option we’re putting in for greater flexibility if the items don’t interest testers). The nuggets and items are a thank you and don’t count toward any sort of cap. I’m so excited for this! I really love the possibilities and I’m looking forward to testing this out!! I really liked Quest for the Icy Soul and I’m excited to see how the system has evolved since! Are those pets beta only? Either way I have SO many ideas on what to craft a few adventures on. I have been so excited to see this come to fruition! Malis The main way to getting them will be through beta testing, though there will be avenues to get them in the future, e.g. the gift capsule! From what I understand of open betas (and betas in general) our job, which we will obviously accept, is to break the Adventure System right? Well, break anything in the system that is likely to break with anything close to normal use anyway, so that it can be fixed before the official launch. Please correct me if I’m wrong on that? I am so excited about this - can’t wait! Ohhhhh boy! I reeeeeally hope I have time to get into this!